What a lovely place to chill, shop, eat, repeat. 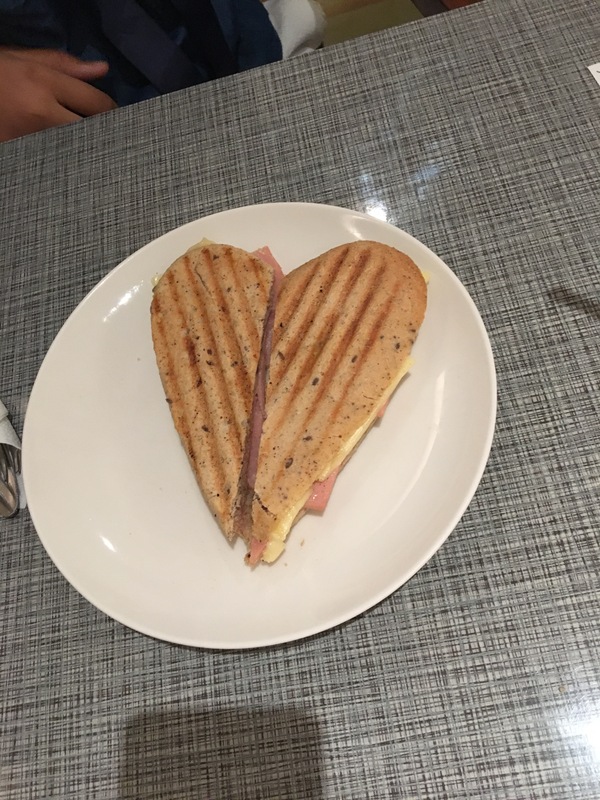 The heart shaped ciabatta is a nice touch. Attentive service, nice sandwiches and a great hive. Some places work because of the vibe and KGC is exactly that. You feel ensconced in Mumbai’s culture in the heart of the art district when you’re here. Drop into Nicobar while you are here. Great gluten free options. Oh. And that almond cake. What is that slice of heaven!